Announcing The Video Game StoryBundle – out now! You may remember that I teased this a few weeks back, but Jason Chen and the kind folks at StoryBundle have debuted the Video Game StoryBundle that I curated, and man, I’m happy with the results – 10 DRM-free game culture/history eBooks, going for a song. If you add 2 entire issues of Kill Screen magazine, ‘250 Indie Games You Must Play’, the late great gonzo game mag author Bill Kunkel‘s memoirs, Jamie Russell’s meticulously researched ‘Hollywood & games’ book, Brendan Keogh’s book-length ‘Spec Ops: The Line’ analysis, and video game pioneer Ralph Baer reflecting on his career (plus a sekrit bonus we haven’t unleashed yet! ), you get… something I’m incredibly happy with. Consider picking up a copy? 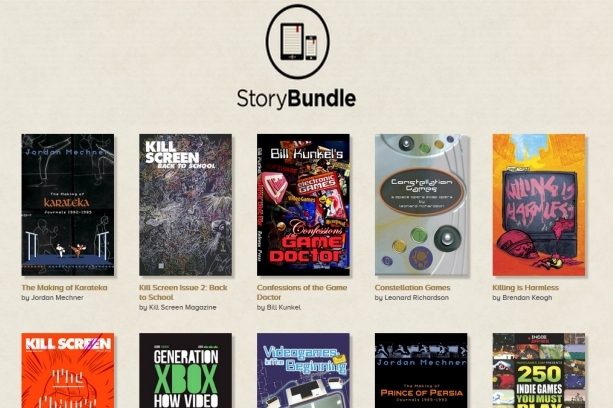 Continuing its popular ‘pay what you want’ ebook bundles, StoryBundle – http://storybundle.com – is proud to present the Video Game Bundle. The specially curated set of ten full-length game culture & history books/magazines spans such notables as Prince Of Persia’s Jordan Mechner, Kill Screen Magazine, ‘father of games’ Ralph Baer, Generation Xbox and acclaimed game-related fiction from Leonard Richardson. In total the bundle features almost $100 worth of books for a fraction of that price. 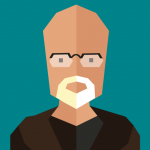 The Video Game Bundle, curated by Independent Games Festival chairman emeritus and game industry veteran Simon Carless, includes multiple titles that are making their ebook debut, plus a host of other rare and sought-after titles. It’s the first video game-themed bundle for a site that has already sold more than a hundred thousand books through its popular horror, sci-fi and fantasy book bundles. Highlights from the initial set of five books and two magazines include Jordan Mechner’s extensive diaries on the making of seminal ’80s platform game Karateka (“Jordan’s journals are remarkable… a great inspiration” – Will Wright, SimCity/The Sims creator), as well as Jamie Russell’s painstakingly researched ‘Hollywood and games’ non-fiction book Generation Xbox, which spans the Super Mario Bros movie through Spielberg’s LMNO and beyond. Must-have bonus books include the world eBook premiere of Ralph Baer’s ‘In The Beginning’ – a vital autobiography on the Odyssey creator’s role in the creation of video games – plus Jordan Mechner’s acclaimed Prince Of Persia diaries (“A fantastic read.” – D.B. Weiss, co-creator; HBO’s Game of Thrones), and IndieGames.com editor Mike Rose’s essential book-length rundown of ‘250 Indie Games You Must Play’. The Bundle is available for a very limited time only, via http://www.storybundle.com, and allows easy reading on computers, mobile devices and Kindles via file transfer, email, or other methods, with multiple DRM-free formats (.epub, .pdf, .mobi) available for each book. Pay what you want (minimum $3): You decide how much six fantastic indie books are worth to you. If you can only spare a little, that’s fine! You’ll still get access to six thrilling titles.